Leupold 54680, 60080 Mark 4 6.5-20x50mm LR/T M1 Tactical Riflescope FREE SHIPPING! Take advantage of the best technology has to offer when it comes to riflescopes. Leupold's Mark 4 6.5-20x50mm LR/T M1 Tactical Riflescope is perfect for both tactical and sport usage, with waterproof housing and a wide range of adjustability for wind and elevation, so you can use it in all kinds of environments. The Mark 4 features an Index Matched Lens System, a side focus parallax adjustment, and a Mil Dot or Tactical Milling Reticle (TMR) which improve targeting and image definition, regardless of light level. This LR/T M1 riflescope includes lens covers that flip open, protecting your valuable lenses when in transit or storage. 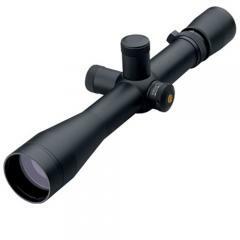 ©2002-2019 CopsPlus.com: Leupold 54680, 60080 Mark 4 6.5-20x50mm LR/T M1 Tactical Riflescope FREE SHIPPING!